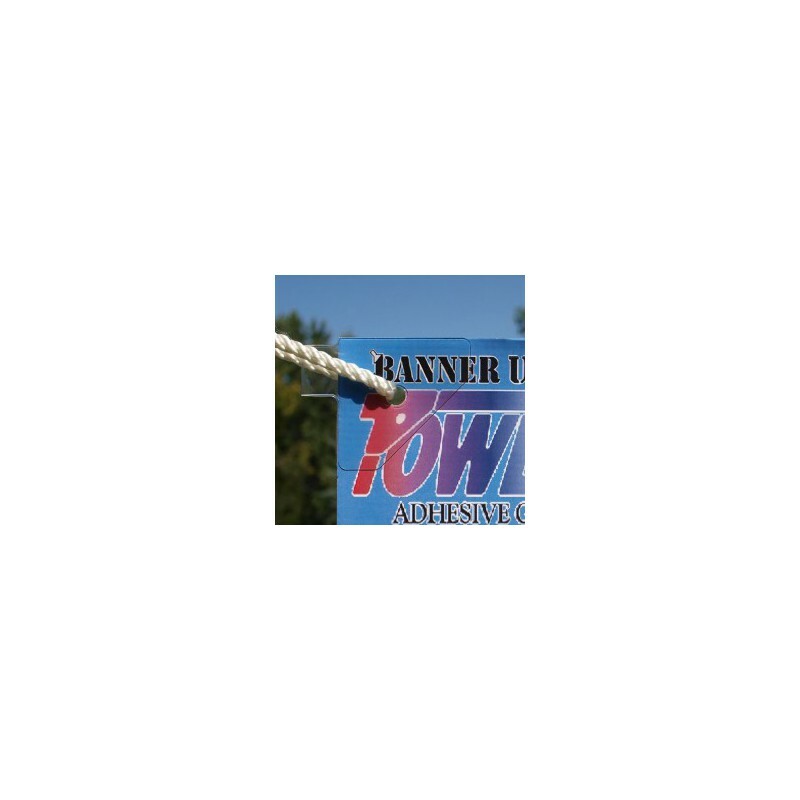 Banner Ups® PowerTabs® are constructed from a high strength polyethelyne-based composite film and backed with adhesive. This method provides a simple, economical, and strong banner mounting alternative to grommets. No sewing or grommeting tools required. Besides banners, PowerTabs® are also well suited for application on corrugated plastic, paper, foamboard, and other textile films. For suspending banners up to 6 feet long, PowerTabs® placed at each corner are sufficient. For banners longer than 6 feet, use PowerTape® over top of the tabs for increased strength and durability. The convenient neck loop provides easy suspension for indoor banner applications. For outdoor banners, punch a hole through the banner, aligning with the hole in the PowerTabs®. 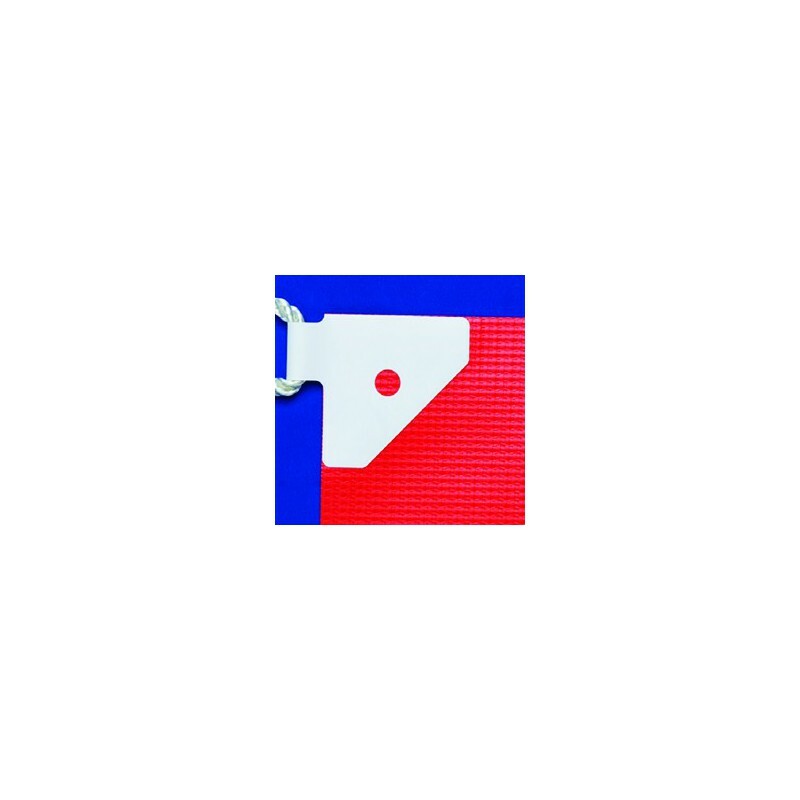 Try the Banner Ups® PowerPunch tool for a quickly, cleanly punched hole.